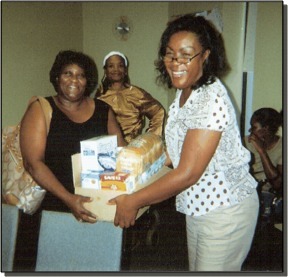 Ray of Hope Outreach | Church With A Vision For The Community! A Church With a Vision for the Community ! Blessing beloved to you and your household! So happy you stopped by to see the exciting things that God is doing at Ray of Hope. The power of God is flowing in every service and people are being blessed and restored. Please remember that there is no limit to God’s power. There is no boundary to his grace. There is no restrictions on his favor. His blessings are absolutely for whosoever will, and that includes you today! Our prayer is that the love of God’s will overtake you like a mighty avalanche and bring you into your purpose and perfect destiny in Him. There’s a place filled with love and warmth waiting for you at Ray of Hope. We are looking forward to seeing you very soon. Welcome to our Community Outreach Ministry Extension (C.O.M.E.) Division. Our C.O.M.E. Division was established in 1999 to shine the light of Christ in socio-economic darken places in order to bring hope to the poor, needy and indigent through charitable human services. Jesus said, “Come unto me all ye who labor and are heavy laden and I will give your rest . . .” The goal of our C.O.M.E. Division is to extend a hand of relief and to point the way to the rest that Christ offers. Our doors are open to all. Just remember that help is available for you at Ray of Hope!